Our New York style hotdog cart is now in operation. Introducing our New York style hotdog push cart. 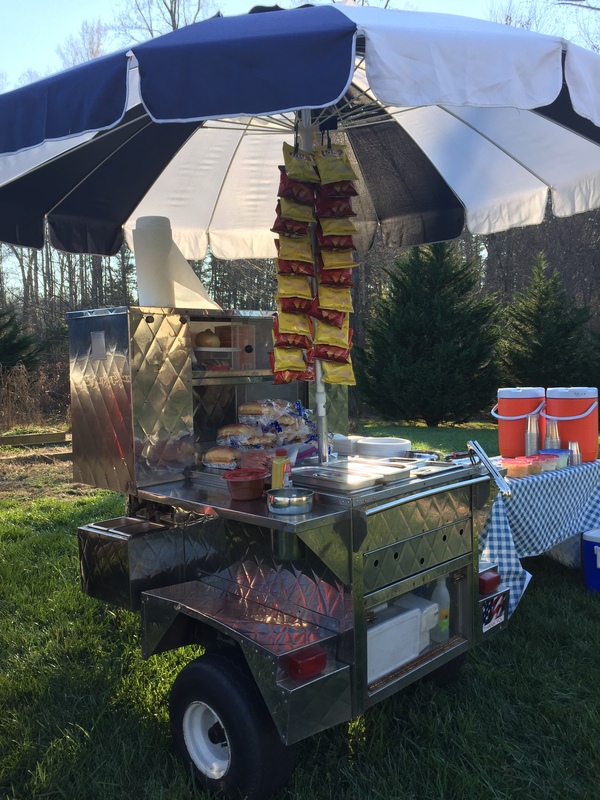 This cart could be a great addition to your party. We do specialized hotdogs with unique toppings. Give our all beef Nathians hotdogs a try with your choice of toppings. Our New York dog has onion sauce and sour krout, while our North Carolina dog has our homemade chili, coal slaw and yellow mustard. My favorite is the Firehouse dog with our own pickled onions and yellow mustard. Yum YUM!